Sen. Blumenthal (Center), with IAVA members Steve Kennedy, Bruce Carney and Josh Hubbard, and IAVA Chief Programs Officer, Anthony Pike. While Congress is away on break in August, the IAVA Team has been hard at work on Capitol Hill continuing our campaign to #DefendTheGIBill from proposed cuts. When Congress returns on September 6, we expect Senate Committee on Veterans Affairs (SVAC) leaders to make yet another push to pass the so-called “Veterans First Act” that contains $3.4 billion in unprecedented cuts. Just because Senators are not in DC, doesn’t mean they are out of reach. IAVA is most effective when our members around the country are fully engaged at home. 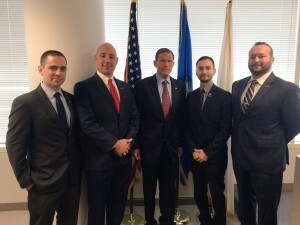 Connecticut IAVA member leaders Steve Kennedy, Josh Hubbard, Bruce Carney, and IAVA Chief Program Officer Anthony Pike stormed SVAC’s top Democrat, Sen. Richard Blumenthal (D-CT), at his Stamford, CT office. They had a huge win. The Senator told the group that he finds the cuts objectionable and he promised us that he would offer an amendment on the Senate floor to restore the cuts when the bill is considered. IAVA needs not only his commitment to trying to restore the cuts, but if that effort fails, Sen. Blumenthal and others should stand on principle and block the bill from moving forward. “Congress should not be using the GI Bill as a piggy bank to pay for other programs,” Pike – a two-time Iraq vet – told the Hartford Courant following the meeting. “We’re talking about a population that has sacrificed so much over the last 15 years. People were made a promise in exchange for that sacrifice,” he said. The meeting even got the attention of Sen. Blumenthal’s Republican opponent, who criticized the Senator to the Hartford Courant in the same story for not doing enough in the Committee to oppose the cuts and said we should not just be paying “lip service” to helping veterans. 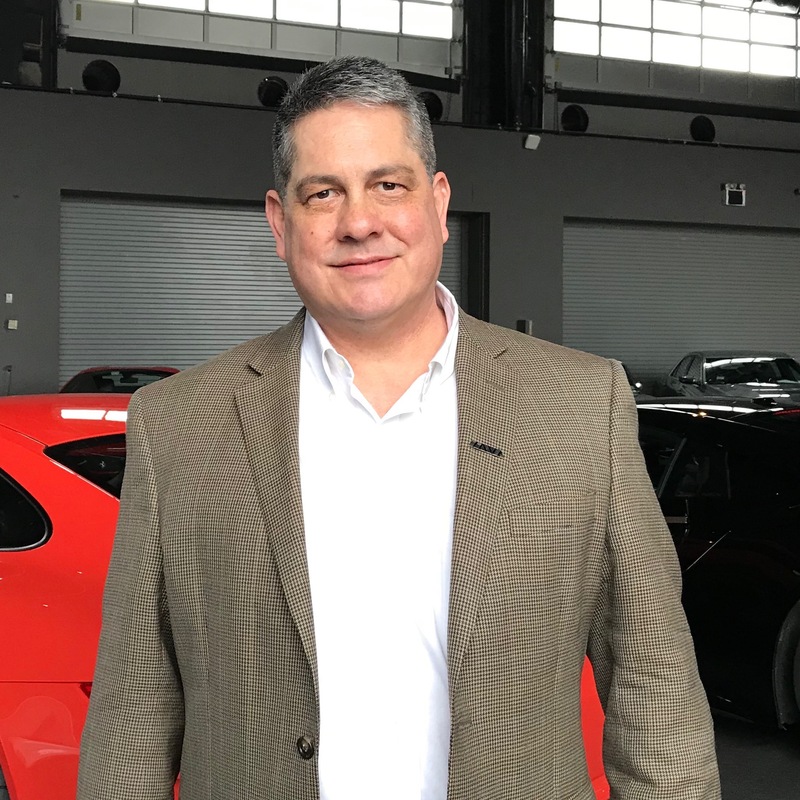 Rest assured, the IAVA Team will continue this fight as Congress rushes to pass legislation before the end of the year and will make IAVA member views known. Please let Congress know you oppose these cuts here, share the link with your friends, and let us know if you would like to similarly engage your Congressional delegation like our Connecticut vets did. Don’t let Congress cut this landmark benefit!